1-1/4 Mandara Knob, 1 per package From Liberty Hardware, the Mandara Knob is a simple design with subtle reflections from the glamorous art deco period. Crafted from die-cast zinc for long lasting quality and durability. Installation hardware is included for your convenience. 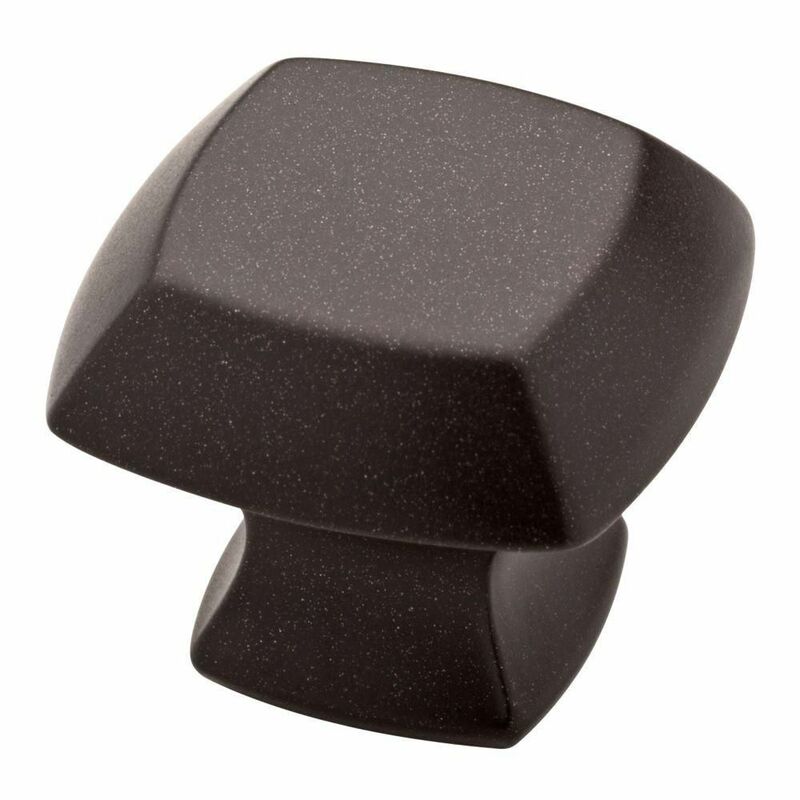 1-1/4 Mandara Knob, 1 per package is rated 4.3 out of 5 by 24. Rated 5 out of 5 by HomeDepotCustomer from I painted my kitchen cabinets in white and these black... I painted my kitchen cabinets in white and these black knobs look beautiful on white. Rated 5 out of 5 by Dudondo from Very rich color and clean lines. Very rich color and clean lines. Rated 5 out of 5 by Non from Love the look of these knobs in my kitchen. Recently went through a renovation and these went pe... Love the look of these knobs in my kitchen. Recently went through a renovation and these went perfectly with my color scheme and added just the right look. Rated 5 out of 5 by Jessi from Solid knobs look great with mid-tone cherry shaker cabinets. ... Solid knobs look great with mid-tone cherry shaker cabinets. A nice update from brushed nickel. Rated 4 out of 5 by HomeDepotCustomer from Knobs have a nice feel. Haven’t had enough time to... Knobs have a nice feel. Haven’t had enough time to see if the finish holds up with use. Rated 5 out of 5 by Ryan from Good quality knobs.... Good quality knobs.